wasn’t with his wings. Fireball couldn’t lift off because of his disproportionately large and round belly. Perhaps he’s eaten too many cheeseburgers (cheeseburgers being the favorite food of all dragons). It’s embarrassing to be a flightless dragon, so Fireball tried every way he could possibly think of to drop the extra weight. When the latest fad diets did nothing to improve his waistline, he reluctantly turned to exercise. Surprisingly enough, Fireball turned out to be an excellent cyclist. 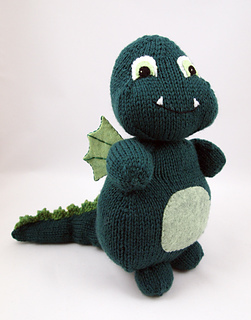 Now a much slimmer dragon, Fireball can fly as well as any of his friends, but he still prefers traveling by bicycle.